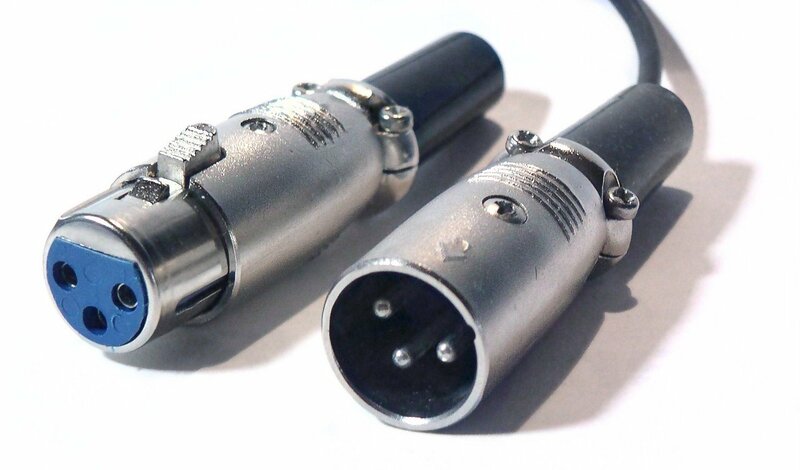 Notes and Volts: What the Heck: Is an XLR connector? 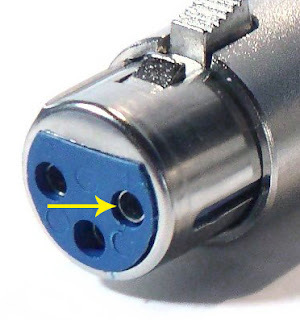 What the Heck: Is an XLR connector? You've seen them, those seemingly indestructible cables strewn across stages and studios. You've probably heard them referred to as Mic cables. They are the cable of choice for Balanced Audio in a professional setting. But what the heck does XLR stand for? Lets start with a little history. 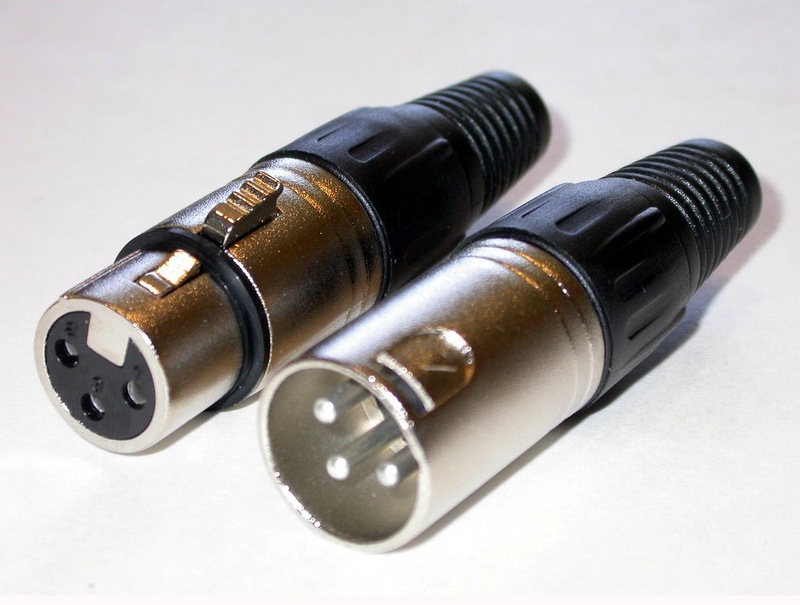 The XLR connector was originally invented by a guy named James Cannon, founder of Cannon Electric (later bought by ITT). That is why you may hear some old timers refer to these as "Cannon Plugs". Cannon Electric branded this new plug the Cannon X-Series. They later added a model with a Latch to lock the cables together called the Cannon XL. And finally, a model with a hard to break Rubber compound surrounding the female socket called the Cannon XLR. So XLR stands for Cannon X-Series connector with Latch and Rubber. The original Cannon XLR design was great, but had one major flaw. The pin assembly was held inside the case by a small screw. These screws were notorious for falling out, allowing the pins to twist around in the case. Eventually, this would strain the wires and break the cable. I've come across many old cables that had this problem. A company called Neutrik came out with a redesign of the XLR connector that did away with the troublesome screw, making them all but indestructible! If you have bought a XLR cable in recent times, it probably has Neutrik connectors. As previously mentioned, the XLR is the connector of choice for Balanced Audio. 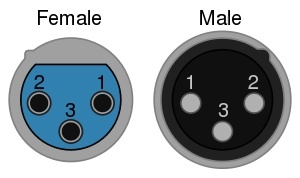 A balanced audio cable consists of a Positive Signal (Hot), a Negative Signal (Cold). and Ground. In an XLR cable, pin one is Ground. pin two is Positive, and pin three is Negative. If you look closely at the female connector, you can see that the metal sleeve in the socket of pin one is closer to the surface than in the other sockets. This ensures that the Ground pin is the first to connect when you plug it in. This simple trick does away with the pops and buzzes that occur when other types of cables are plugged into a live amplifier (guitar cables, I'm looking at you). And there you go! More than you ever wanted to know about the XLR.